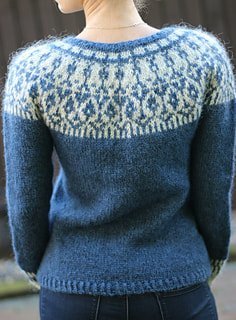 Have you admired those beautiful colourwork yoked sweater patterns on Ravelry, but been intimidated to try knitting one? This workshop with Vancouver designer Jenny Faifel (aka Sweaterfreak) will take you through the ins and outs of designing your own yoked sweater. Learn the pros and cons of top down and bottom up sweater construction, tips and tricks for colour combining and stranded knitting, and how to adjust a yoked sweater to fit your body. Then go home and knit your own colourwork masterpiece!